When you’re planning to complete any Canton home remodeling or building project, you’ll need to understand the insulation needs for your particular venture. While traditional insulation certainly has its place in modern construction, it is often not the best choice. Canton spray foam is actually a better choice in many circumstances, giving you more effective insulation at a lower cost. Canton spray foam is an extremely efficient insulating material. It excels at blocking heat, and helps prevent excessive heat from entering the home. It can also help keep the internal temperature steady, preventing heated or cooled air from escaping the Canton home as well. The measure of a material’s ability to maintain the internal temperature of your home is actually called the R-value, and represents the material’s effectiveness in blocking heat. The R-value represents the amount of heat or energy the material can block, measured against the space of the material. With spray foam, the R-value is very high, making it a highly effective method for insulating large spaces. There are many ways that your home can end up losing energy efficiency, and one of those that is often overlooked are your crawlspaces! These areas of your home are often poorly insulated and offer a means through which heating and cooling dollars just slip through the cracks and out of your back account. 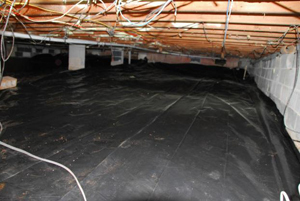 Instead of losing money every month, have your crawlspace encapsulated, to improve the overall efficiency of your home. A properly encapsulated crawlspace will offer you a variety of energy benefits, and keep your home better protected against pests, vermin, as well as mold infestation. A crawlspace that has been encapsulated offers an overall healthier environment in your home, and will improve the quality of the air that you breathe every day. At SouthEastern Insulation we have been providing the Canton area with the absolute best in insulation installation and removal services for years, and during that time we have established ourselves as the premier source for the very best in home energy efficiency solutions. You cannot go wrong in turning to our dedicated staff who will always take you and your home into their first consideration, and back all of their workmanship with a 100% workmanship guarantee. If you’re looking for a professional Canton Spray Foam Contractor, then give us a call today at 678-561-FOAM or complete our request estimate form.